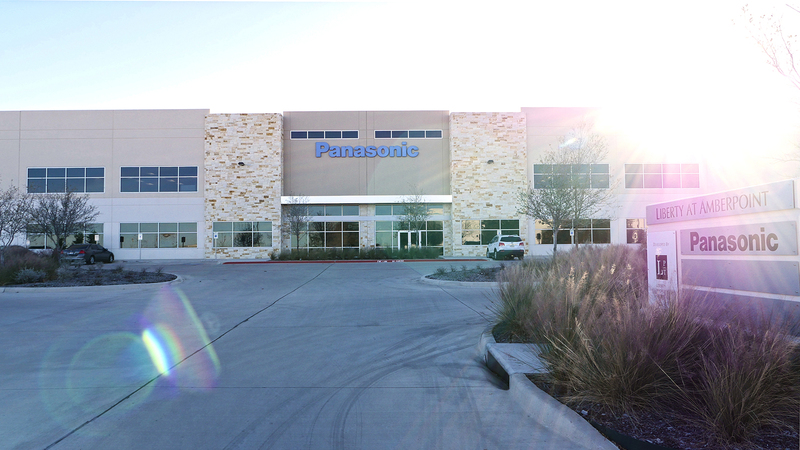 Coppell, TX, USA - On February 9, 2016, Panasonic Enterprise Solutions Company officially opened a high-tech engineering and fabrication center to support its fast-growing videoboard and "spectacular" digital signage business. 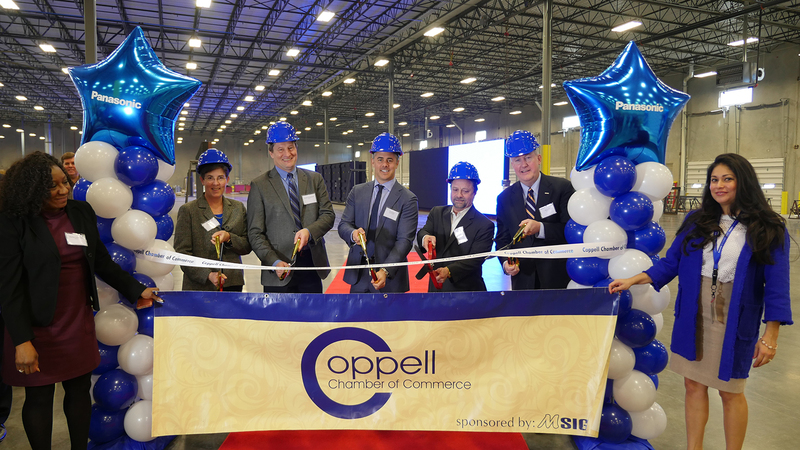 Based in Coppell, TX, the digital solutions center will occupy nearly 135,000 square feet of a flex-use building on South Royal Ln. in this Dallas suburb. 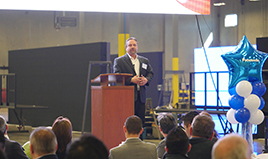 "This massive space gives Panasonic the ability to custom manufacture very large, spectacular electronic billboards for large stadiums, arenas or other corporate customers," said Garry Waldrum, Panasonic Enterprise Solutions' Senior Vice President, Construction Services. 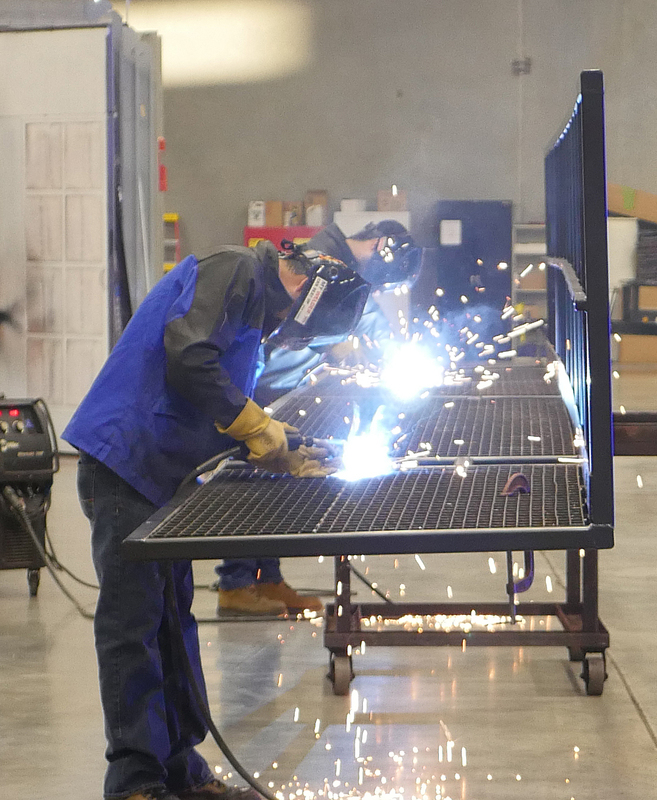 "Panasonic can design, engineer, fabricate, and oversee the installation all in-house, raising the already high bar on our quality products and workmanship." The building consolidates the company's state-of-the-art manufacturing equipment and computer-aided design and software services teams in one location with the flexibility to grow as needed. 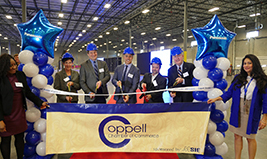 The Coppell facility is also strategically located close to major customers in the Dallas area, allowing for service or routine maintenance to be completed with greater efficiency. 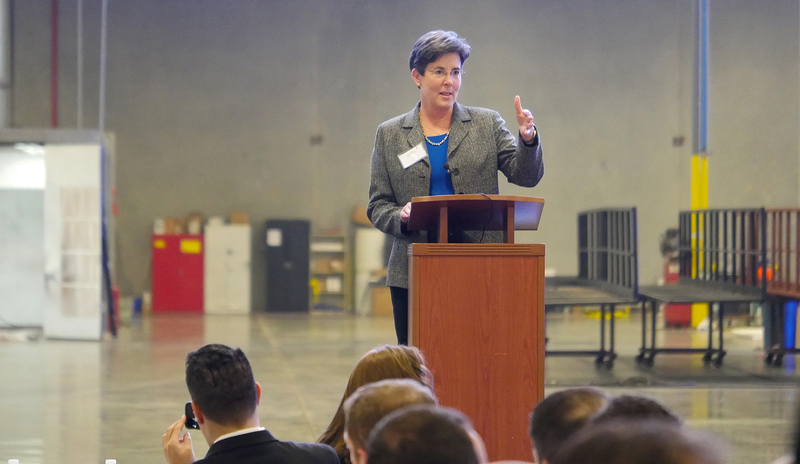 Among the center's first projects is the NBA's first-ever 4K ultra HD center-hung videoboard for the Sacramento Kings that will debut at Golden 1 Center, scheduled to open this October in Sacramento. Totaling over 6,100 square feet, the center-hung videoboard will feature the largest screens in the league. 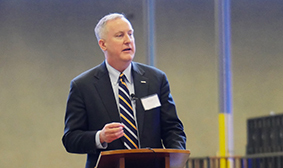 Panasonic's new engineering and fabrication center marks another milestone in the company's continuing efforts to accelerate growth in its business-to-business operations. Panasonic has a special focus on opportunities in the sports, entertainment and retail sectors, particularly in the digital signage market, which is expected to be worth more than $23 billion by 2020, according to MarketsandMarkets. 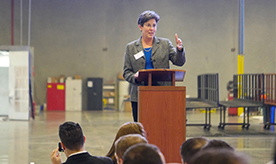 Stadium operators and facility managers are seeking creative solutions to grow revenues and improve the fan experience by better connecting spectators with the excitement on the field or stage. Panasonic has earned acclaim in sports and entertainment circles for its Guinness World Record-certified "Big Hoss TV" at Texas Motor Speedway, the world's largest 4K Ultra High-Definition LED videoboard at Churchill Downs, a major digital upgrade at Indianapolis Motor Speedway and the renovated Nasdaq Market Site Tower display in Times Square. 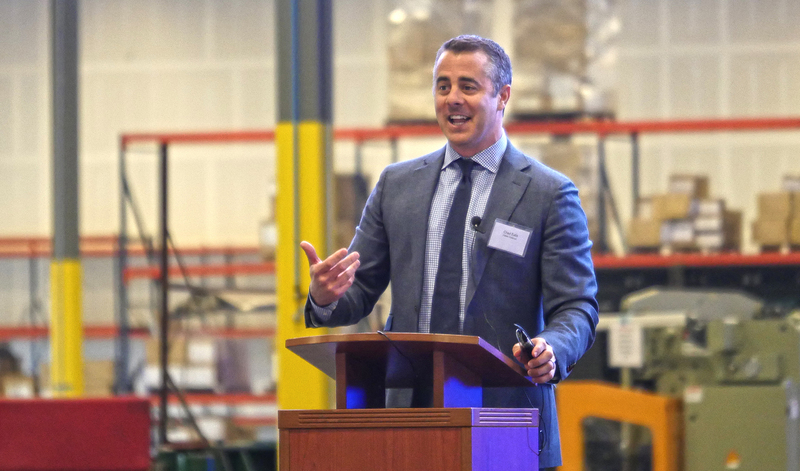 "The opening of this engineering and fabrication center is the culmination of a process that began with our 2015 acquisition of the former TS Sports in Grapevine, TX," said Jim Doyle, President of the Denver-based Panasonic Enterprise Solutions Company. 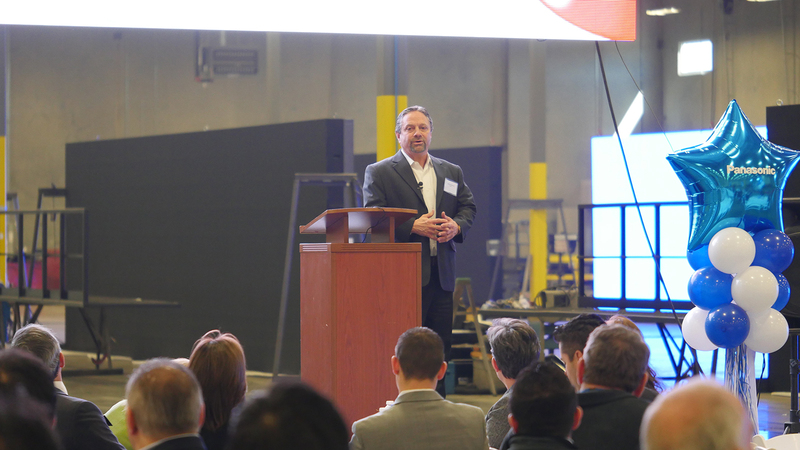 Having successfully integrated the great digital signage expertise that TS founder Garry Waldrum and the TS team brought to Panasonic, and created this engineering and fabrication facility, we are ready to take our operations to the next level to exceed our customers' expectations." 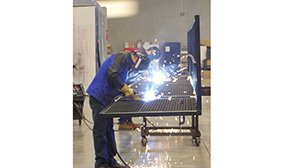 Panasonic Enterprise Solutions Company, a division of Panasonic Corporation of North America, designs, installs and services large-scale digital technology solutions for the enterprise market. Panasonic Enterprise Solutions serves customers across a range of industries with customized applications using cutting-edge technologies, experience in managing large, complex corporate projects and dedicated onsite support services. The Coppell, TX-based Audio-Visual Solutions team is an industry leader in high-end digital display solutions that create unique fan experiences, installing and networking some of the largest, high-definition LED videoboards in the world including at Texas Motor Speedway, Churchill Downs, Ohio State University, L.A. Live, Indianapolis Motor Speedway, Nasdaq Market Site Tower, Charlotte Motor Speedway and the Philadelphia Eagles' Lincoln Financial Field. 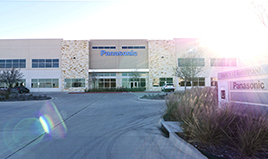 Learn more about Panasonic at us.panasonic.com/news.